On Sunday, May 28, 2017 Kingsport Police Patrol Officers were summoned to Smart Cuts, located at 2400 West Stone Drive in Kingsport, in reference to an overnight burglary to the business that had just been discovered. Employees arrived to find the rear door of the business standing ajar and damage to the knob. A desk inside the business was found to be ransacked, and nearly $1,000 in cash prepared for deposit was reportedly stolen. 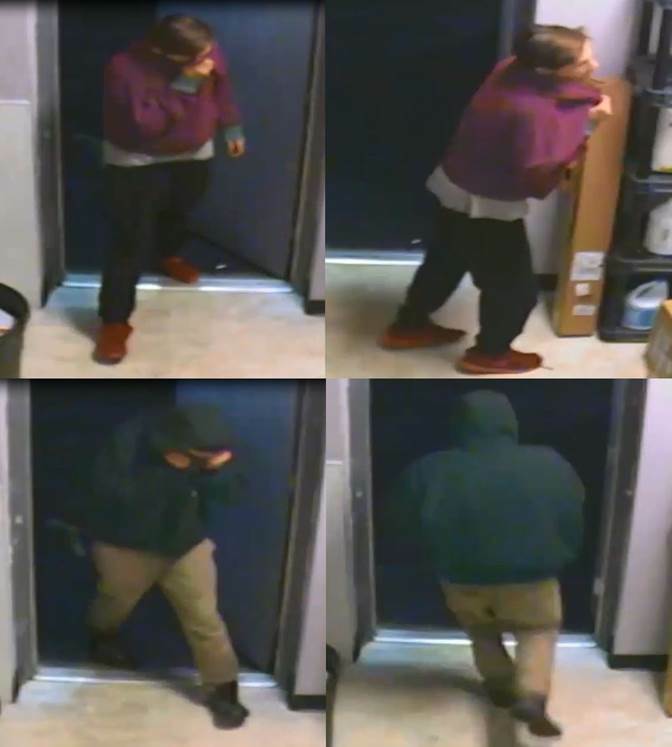 Anyone who recognizes either or both suspects, or who may have any additional information which may help solve this case, is asked to contact Detectives in the K.P.D. Criminal Investigations Division at 423-229-9429 or call Kingsport Central Dispatch at 423-246-9111.